Minimum Order Quantity- 1000 Set. We offer a wide range of Hand Made Paper Files. These files are widely used in officies, corporates and companies. We offer Hand Made File Folder. 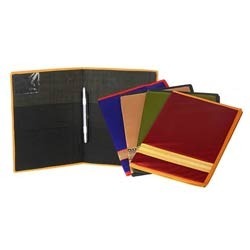 Based on advance technology, we are involved in offering utmost quality of Handmade Cloth File Folder. 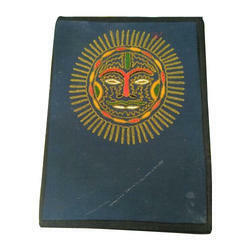 This Handmade File Folder is manufactured using high grade material and highly tested for their quality assurance. Moreover, these products are available in market in different sizes and attractive colors. Handmade Cloth Conference File is a handmade product made by differently abled people using cloth and recycled paper. It's an Eco-Friendly product with 4 pockets for documents and 1 pocket for a pen and has the knot. Bamboo Handcrafted File / Folder. "We are Looking for Buyers Majorly from Nagpur and nearby Region." Our comprehensive range of handmade paper files and handmade paper folders are perfect blend of beauty and functionality. These splendid & vibrant handmade files folders are made with environment friendly handmade which is completely biodegradable. All our handmade files and folder come with comfortable tie ups to keep the documents securely and in an organized manner.